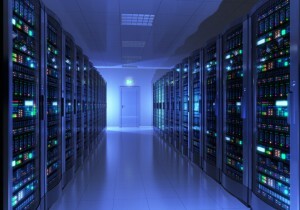 Your Telecom offer colocation services in over 96% of all data centres in the UK. Choosing the right supplier and also a location for you to host your business critical servers is of the highest importance. At Your Telecom we appreciate that a lot of planning and thought must go into this process to ensure your servers are safe and secure with the right redundancy in place. With data centre services available in every major city across the UK, it really does allow your business to choose a location that is geographically optimal for what you are trying to achieve. We also have a number of different grades of colocation available, including tier 1 tier 2 and tier 3 which also allows us to find somewhere to host your servers that is within budget. We also have colocation services that are low cost to fit in with your project budget. Your Telecom ‘s enterprise class colocation service is located in one of the UK’s newest Tier III data centres. This solutions comes with the highest service level agreements (SLA’s) available which covers connectivity, latency, packet loss, power and even the room temperature. As part of the contract we can guarantee certain service levels throughout the duration of the service. So far we have had 100% up-time and less than 1ms latency to all the major internet hubs in the UK. For business servers that simply cannot afford to be down, call us now to find out more about our enterprise class colocation services.